Coloring books and pages were in use for a long time now. In 19 century they appeared as a result of "art democratization" movement in the US. The logic was that all students would benefit from the appreciation of art and beauty, regardless of their artistic ability. 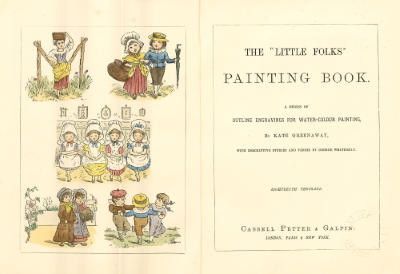 In 1880s, first coloring book The Little Folks' Painting Book was produced by McLoughlin Brothers and Kate Greenaway. In educational context, coloring books offer much more exciting pathway to knowledge than traditional methods. Bright colors and visual representation of concepts are more memorable that plain text, plus a child is able to interact with material in a naturally appealing way. Instead of telling child not to damage or color the textbook, he or she is actually encouraged to modify a teaching material the way it suits him. Color itself is a subject for a child to learn, and by using different crayons, he will memorize names of the colors, better understand what color combinations work best, what are primary and complimentary colors. At the same time, coloring pages provide a certain structure and familiarizes a child with setting that closely resembles that of a classroom. A child, it stands to reason, will be able to adapt to the school environment more quickly. Being aware of boundaries, whether you choose to respect or break them, is an important part of growing up. Coloring will provide a safe way to rebel or comply with the rules. A young person will be able to learn about symbols of his and other nations by drawing and exploring them. Another beneficial aspect of using coloring pages has to do with developing and maintaining visual and motor skills. Hand to eye coordination is important part of cognitive skills and coloring will provide a balancing activity for much of text-based and logic-oriented studies. While the effect of coloring pages on child's creativity was sometimes questioned, there are studies that show novelty of children's coloring solutions of freehand paintings increases following the coloring exercise. Researchers were using existing tree coloring pages such as these  to stimulate imagination of children. An interesting recent trend is the popularity of coloring books for adults. According to some publications, they became one of the most popular types of printed media. Coloring books are compared in their effect to therapy and meditation, and indeed, they provide a pleasant way to decrease your level of stress by concentrating on a well-defined task. This often produces a very useful psychological state known as "the flow". 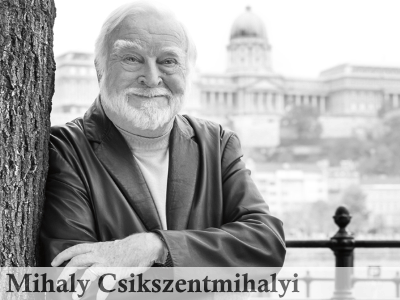 It was first described by Mihaly Csikszentmihalyi and is characterized by a complete concentration on a task at hand and feeling fully competent, yet not bored. This type of experience would be a welcome relief to many in our anxiety-filled society, and coloring can provide it by immersing people in something beautiful and engaging. Novel ways of using coloring pages may include making harder subjects such as math more accessible to students: The mathematical coloring book is one such example, though author use of color is much more diverse than mere coloring within the lines. Other examples include innovative approach to teach students Fortran programming language. Of course, using colors to memorize a material such as human or animal anatomy is an often used technique. It is in agreement with popular encoding specificity theory that in order to achieve good knowledge retention, a student must memorize a material in as many different and distinct ways as possible. Some efforts exist to use coloring books about some medical conditions to help children with disabilities to understand their condition and improve their readiness to participate in treatment. Coloring can also be used as a way to connect with other people. There are already quite a few coloring clubs around the US and elsewhere. Also, getting out some crayons and coloring with your kids is a great way to communicate with your family. It will provide a much-needed opportunity for all of you to stop using your smart devices for a while and recall some of the simpler, more natural ways to spend your time.